Island City Properties takes on its biggest project yet! 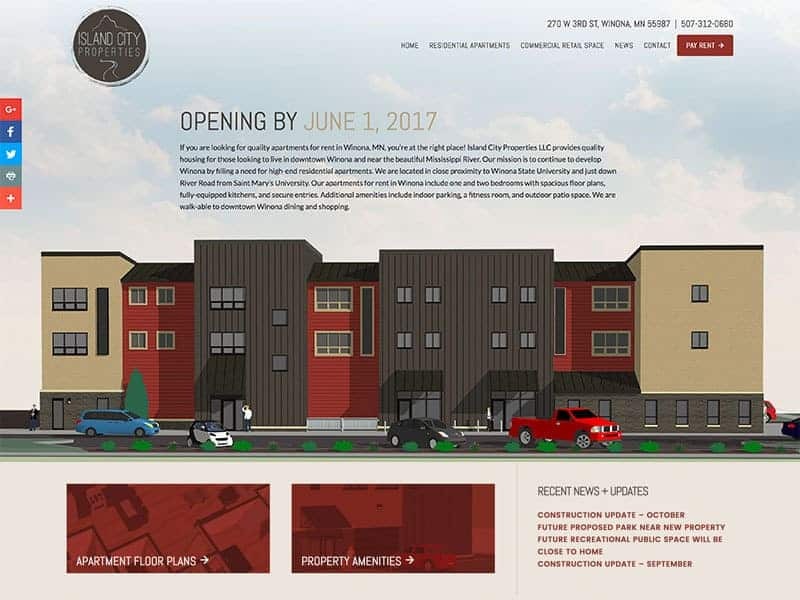 Construction kicked off this past summer on their 3 story mixed use complex. Island City Properties will feature commercial retail space on the first floor and high-end residential apartments on the second and third floor. A beautiful building offering great amenities to make your home. Plus the added bonus of living right next to downtown Winona. With a large investment made, it was time for Island City Properties to start marketing and filling apartments. Partnering with our web development time, a responsive site was designed and launched in just a couple months time. The website features floor plans, photo gallery, and an online rental application.